You’re looking at one of the most beautiful American cars of all time (yes, even though the body is all Italian). Dual Motors of Detroit was founded by Eugene Casaroll. He bought the rights to the Ghia-designed 1955 Dodge Firebomb concept car and put it into production. He called it the Dual-Ghia. And it’s great. 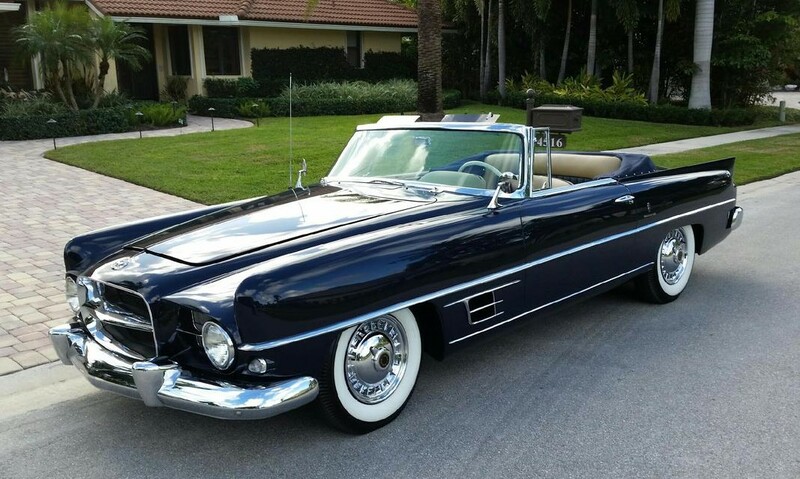 Dual Motors shipped a Dodge chassis to Turin where Ghia would add this gorgeous body and then ship it back. Once home in Detroit, the cars were fitted with a 5.2-liter Dodge D-500 V-8 making 230 horsepower. The engine sounds fantastic and is throaty enough that if the sleek European body threw you off, the engine would definitely alert you to its inherit American-ness. The cars were only built in 1957 and 1958 and they were the expensive favorites of celebrities like Frank Sinatra. Around 100 of these were built (some say 117) and 73 remain. They’re crazy rare but come up for sale at a startling rate for their rarity. But that’s not to say that trend will continue. So if you want one, get your hands on it ASAP. They sell in the $300,000-$400,000 range. Click here for more info and here for more from this sale.